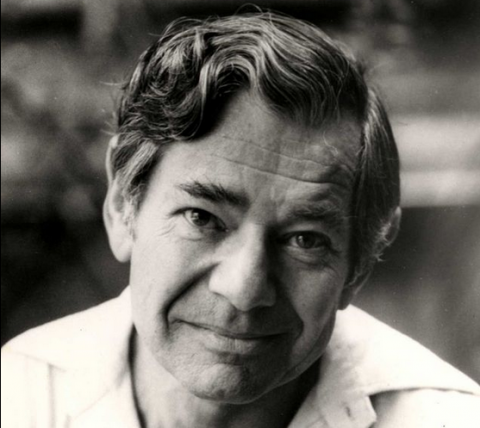 Walter Kaufmann spent 33 years (1947-1980) teaching philosophy at Princeton. And more than anyone else, Kaufmann introduced Nietzsche's philosophy to the English-speaking world and made it possible to take Nietzsche seriously as a thinker – something there wasn't always room to do in American intellectual circles. Kaufmann's talks are now listed in the Philosophy section of our collection of 1100 Free Online Courses. There you will also find courses presented by other major figures, including John Searle, Hubert Dreyfus, and Michael Sandel. Thanks, I enjoyed his talks so much! Is Walter still alive? I have dire need to speak with him about nietzche. It’s an Apollonian and dionysian problem put together and made real. Cough. Hint. I most definitely need guidance on this path someone dreamed up for me. And I’m tired of taking walks alone and debating nietzche to myself cuz my wife’s too busy taking care of the kid.. So Walter! Do you wanna help nietzches little monster lol. Anyway what does the moonlight have to be like to see the symbol on the birth of tragedy? Nietzsche spent most of his intellectual life reacting against the final part of Schopenhauer’s Die Welt als Wille und Vorstellung. Kaufmann minimized this and tried to make it seem that Nietzsche was mostly concerned with Hegel’s concept of development. To describe him as “a German-born convert to Judaism” is, therefore, inaccurate. It’s not inaccurate. It’s just superficially accurate. Yeah! This is tip top! Thanks for posting! “When we speak of forlornness, we mean only that God does not exist and that we have to face all the consequences of this….The existentialist thinks it very distressing that God does not exist, because all possibility of finding values in a heaven…. This is an interesting talk. The only thing is that I think if someone knows who Nietzsche is they know he wasn’t an anti-Semite. Although, that may only be my own experience. Started in philosophy at University of Minnesota, them transferred to Kid Anges City College, got my Bachelirs at California State, Dominguez Hills, transferred to Cal State Los Angeles for a Masters, dropped out for 20 years to raise family then got accepted for PHD at International College Westwood, in tutotship under Mr Kiley, dropped lack of finances, and spent next 20 yeare working , and now the only thing going for me is contributing to a web-sight by the name of I love philosophy. My thirst for philosophy has gone on un ceasing. Yes. Which is why the modern roots — from ‘philosophia’ [L] fr. ‘philosophos’ [Gk] — speak of love of wisdom. Now, you may have set aside formal academic pursuits, even on a few occasions. But it sounds to me like you didn’t ever really drop out. And my guess would also be that the framework was still very much with you throughout — and occasionally, quite helpful. Recall also that Socrates didn’t write anything, let alone some formal thesis! Dialogue was the method. And yet, it was he who was forced to take the hemlock for his supposed impiety and corruption of the youth. It was Plato recorded the bulk of the dialogues. I’d also wager that whatever books you have in your home, at least the bulk of the ones that have lasted through the years, are philosophy-related. A philosophy teacher I had back in college would, every once in a while, mention something like, “La possibilité de la possibilité de connaissance,” which was maddening to most in the class, especially those who believed everything has to have an answer.